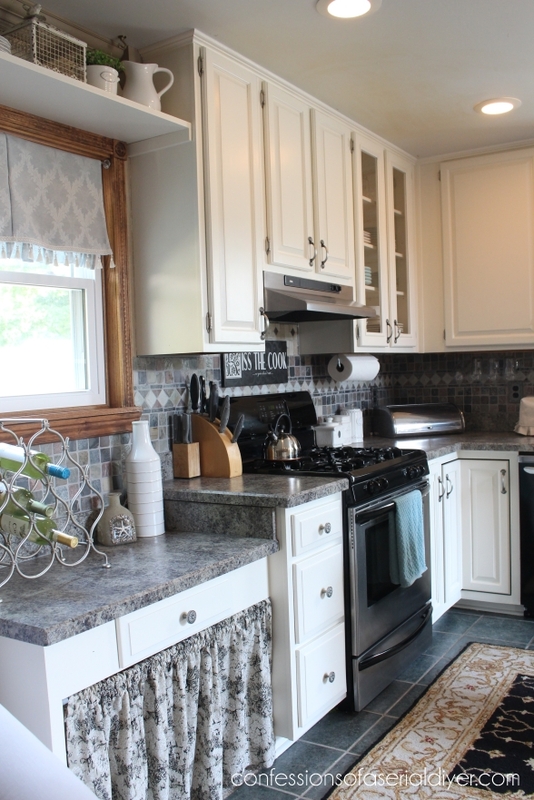 Are you looking to get your kitchen more organized this year? Well I’ve got 18 ways to do just that! 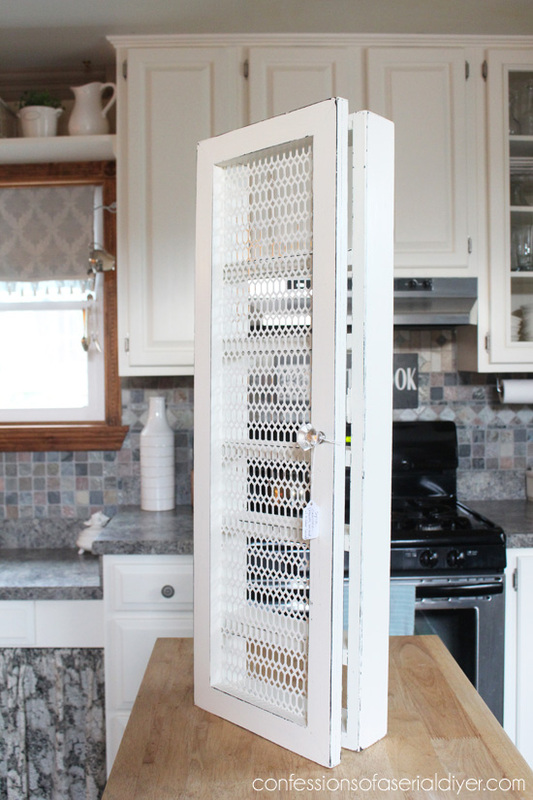 I was invited by Hometalk recently to put together a collection of Kitchen Organization ideas. If you’re not familiar with Hometalk, it is the biggest Home & Garden social network on the web. 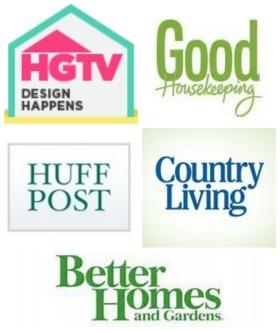 Anyone (not just bloggers) can join (for FREE) and share their makeovers and DIYs, as well as ask home and garden-related questions from the experts as well as folks who have been there like you and me. 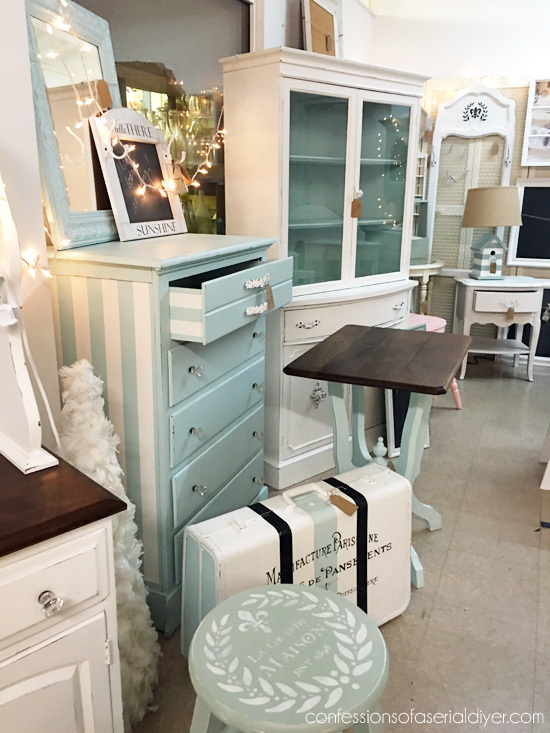 Hometalk is full of endless inspiration for just about any project related to home that you can imagine. I’ll warn you though, it’s a bit addictive! They liked my DIY Spice Cabinet I built a while back and that’s why I was lucky to get this opportunity. 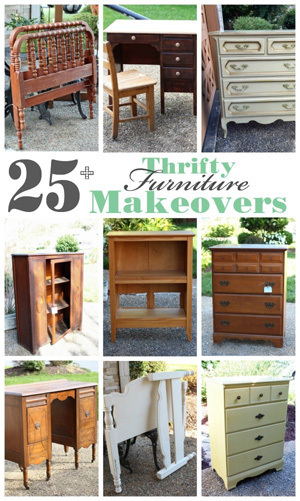 However, when they mentioned the cabinet, I really wanted to say, “You mean the awesome spice cabinet that was in my old ugly kitchen?” I really don’t like to look back at those old pictures, so today I’m going to squeeze in a quickie makeover with this great round-up of ideas! 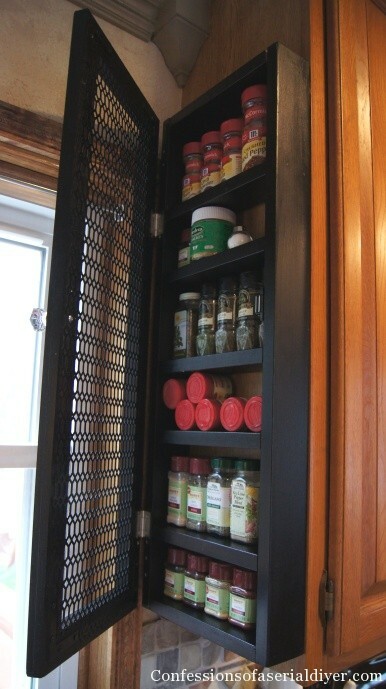 However when I redid my kitchen, I wanted to add a shelf above the window, so down came the genius spice cabinet. I had no need for my poor spice cabinet. It has been sitting in the corner of my garage sad and lonely ever since. I’m sure someone out there can use one of these! 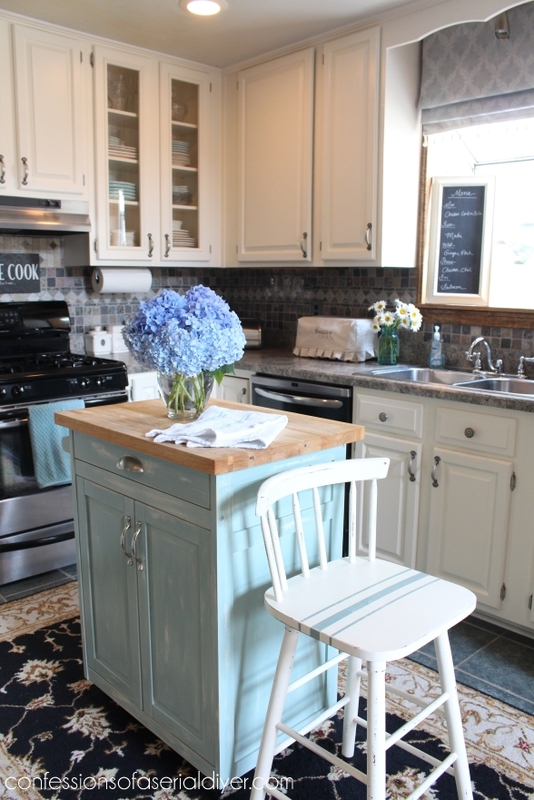 I love it so much more in the cottage white. I tried really hard to find a new home for it, but I have very few walls, so off to the shop it went. 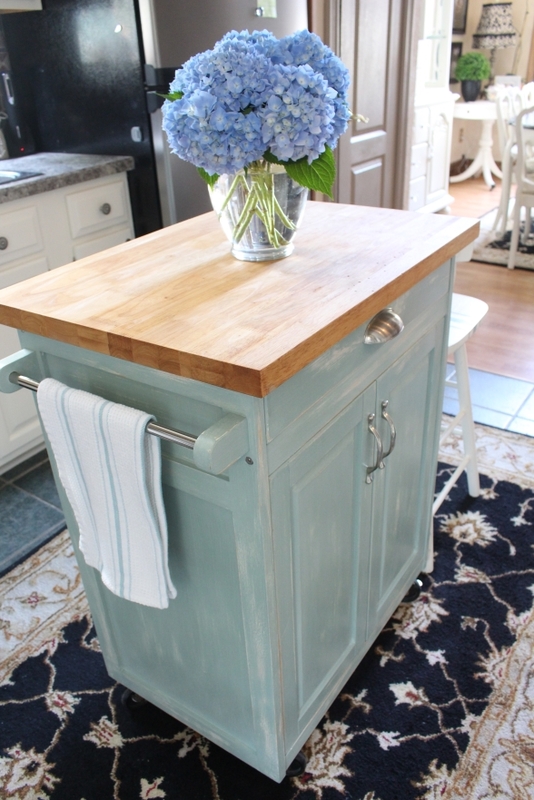 The tutorial for this cabinet can be found here if you want one for your kitchen. 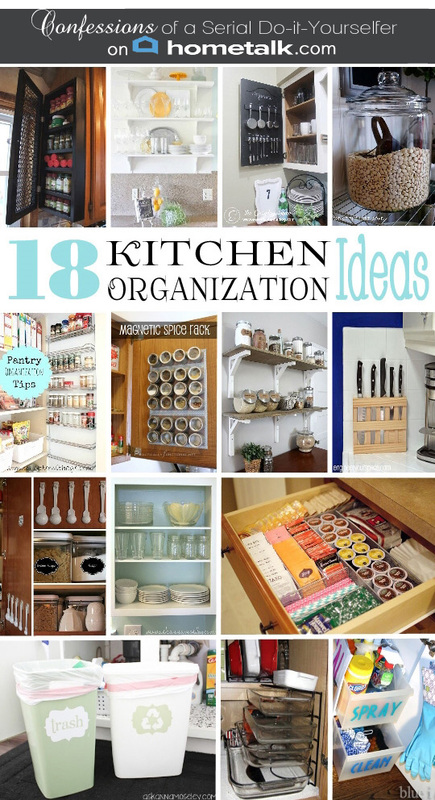 I promised 17 more great kitchen organization ideas and here they are! People are so creative! 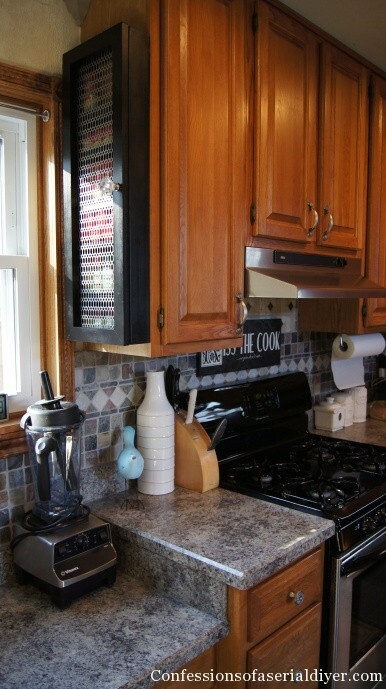 Head over to my Hometalk Board, Kitchen Organization to see all 18 ideas up close! 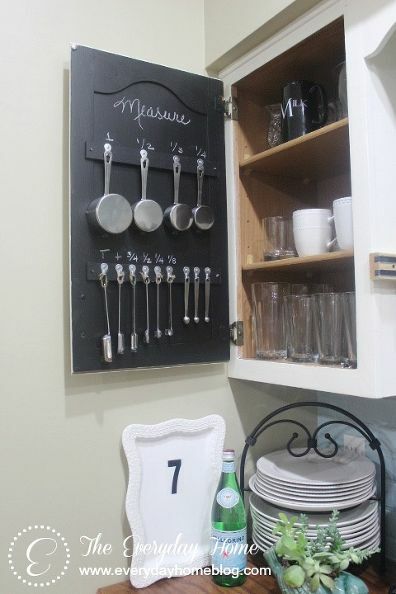 Thank you Hometalk for inviting me to pull together this inspiring collection of kitchen organization ideas! I love your organization ideas. My house is badly in need of some organization! You have inspired me. Much prettier in white Christy! 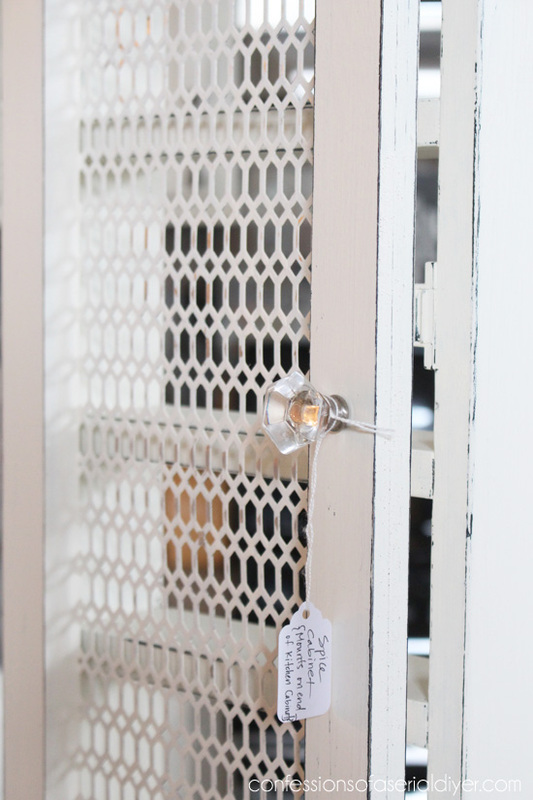 I need one of these, but longer, in our master bedroom for jewelry storage. Going to pin yours for inspiration. 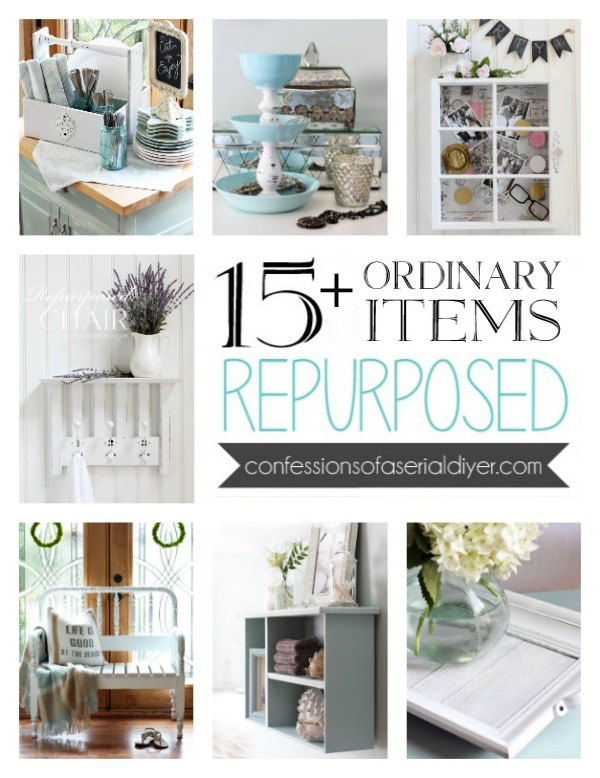 I really need to get organized and I agree you have been an inspiration! 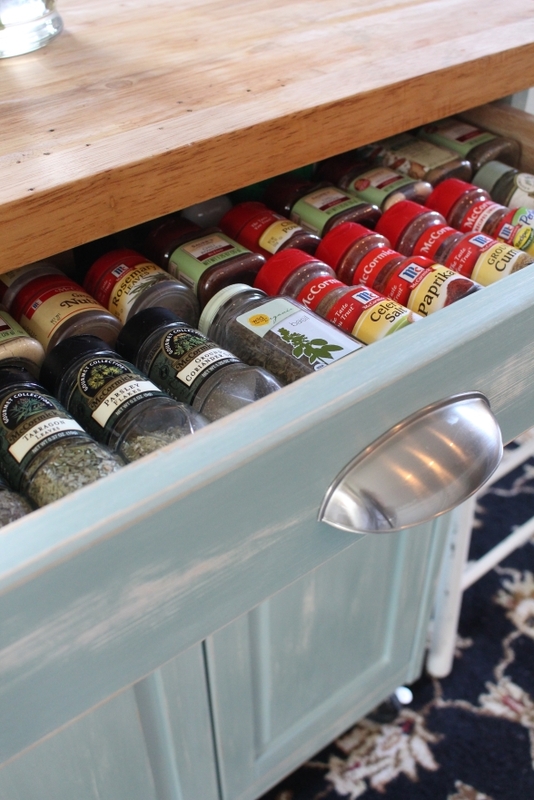 Hi Christy, I love what you’ve done to the spice rack and your kitchen is amazing. I went and saw your booth this weekend. Unfortunately, I wasnt able to get anything, however all of your things were beautiful, professionally done, and great prices! Wish I had a little more grow room in my house. Did I mention all of your stuff is fabulous? Seriously, glad I went and I know I’ll be back. Such great ideas!– love it! I am loving your stuff! 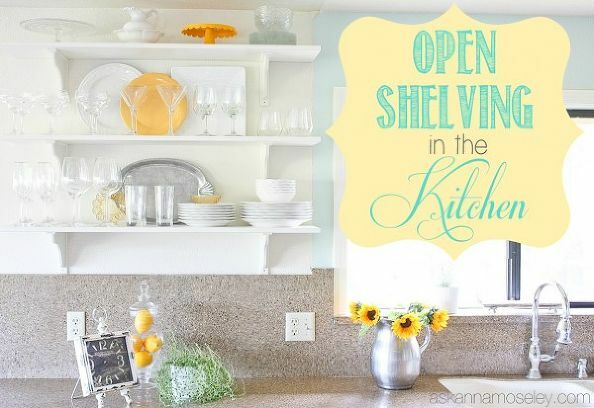 Great ideas Kristy, your kitchen is so inviting. 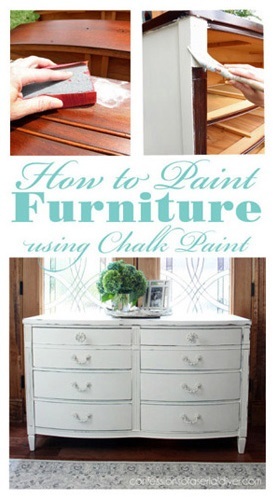 I’m sharing on my FB page today, as I’m doing a little organizing myself and I think my readers will love this. Wow! I love all of these but especially the spice rack. It looked really nice white. I pinned for later. Your white kitchen is beautiful. Love that little island. 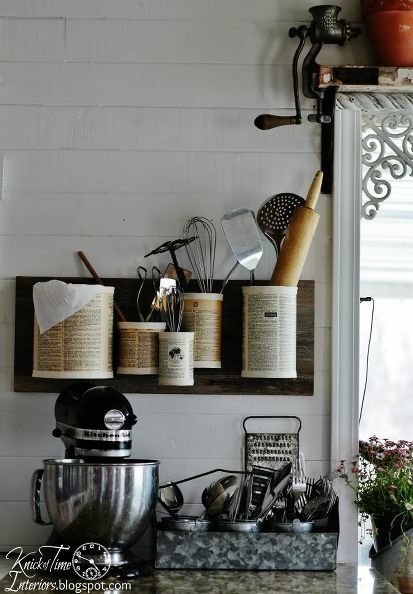 We have been working on our kitchen too so this gives me some great ideas. Thanks. Unfortunately, I live in Arkansas and can’t personally visit your gorgeous booth, but I did immediately get on and looked for the spice rack and didn’t see it :(. Has it sold? If not, how much is it? I LOVE it and it’s just what I’m looking for! The spice rack sold almost right away. So sorry!